Allan Besselink, Austin physical therapist and endurance sports coach, will be in-store at RunTex Riverside (422 W. Riverside, Austin) on December 12 from 12:00 - 2:00 PM. Besselink will be discussing his approach to both injury-free running and injury recovery, and signing copies of his book "RunSmart: A Comprehensive Approach To Injury-Free Running". 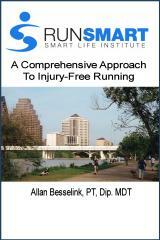 Further information on "RunSmart: A Comprehensive Approach To Injury-Free Running" can be found here. Give the gift of injury-free running for Christmas! RunTex is the place to be on 12/12 at 12:00 - hope to see you there.